According to the present market analysis, Retail can be summarized in two ways—Brick & Mortar (physical) Retail and E-commerce (digital) Retail, each of them being resourceful and impactful at delivering values. Brick & Mortar retail gives customers the touch and feel of products & brands while E-commerce offers them the flexibility of choice & greater convenience. With each of them having their own set of benefits still fails to enhance the customer experience. Physical retail doesn’t offer choice to select a particular product from a variety of range while digital retail takes the customers through the hassles of after shopping effects like returns, size mismatches, and wrong product deliveries. So, in this era of hyper-connected consumers, a retail mechanism needs to be enhanced to a level which delivers greater customer experience, seamless and an unmatchable shopping experience across all the platforms where the customer is or may be available. 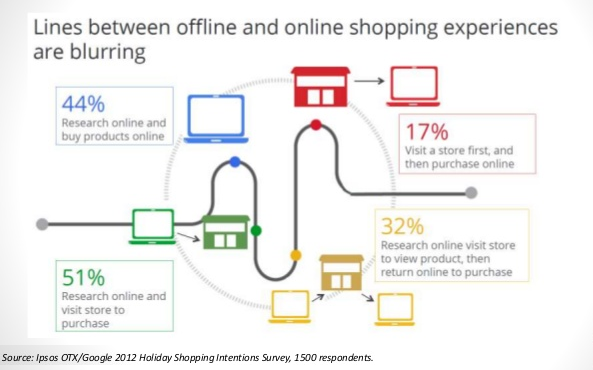 “I want us to stop talking about digital and physical retail as if they’re two separate things. The customer doesn’t think of it that way, and we can’t either”– Doug McMillon, CEO Walmart. The above quote from Doug McMillon clearly indicates the requirement for the merger of Physical and Digital Retail which is nothing but what Omnichannel commerce is all about. In present market scenario, this merger will be benefitting for consumers, to feel like King by completely sorted and smooth shopping experience and at the same time for both online and offline retailers to increase their demand and presence in the market. 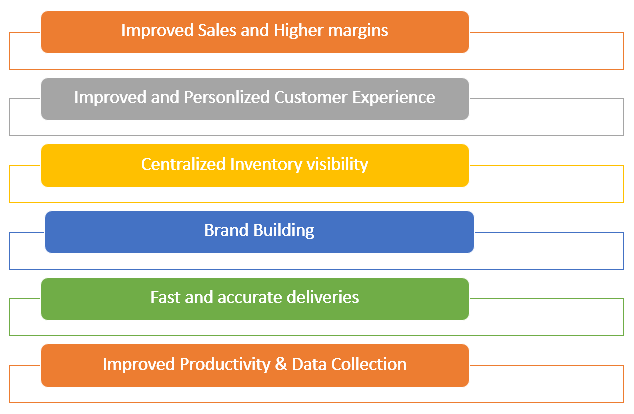 With the drift of product driven market to a consumer-driven market, retailers are now focusing on getting their business operations more advanced to be in line with the current market changes. Managing offline orders at physical stores would no longer be just a point of sale and processing multichannel online orders would no longer be just sale with deep discounts after the implementation of the Omnichannel mechanism. Reforming traditional business mechanism to Omnichannel mechanism comes with its own set of challenges for the retailers. For retailers, along with revenue growth and ROI, factors like increased customer satisfaction, net promoter scores, loyalty, and brand insight are required to attract new prospects and maintain a large customer base. Selecting right processes and technology are essential for enabling complete Omnichannel experience. 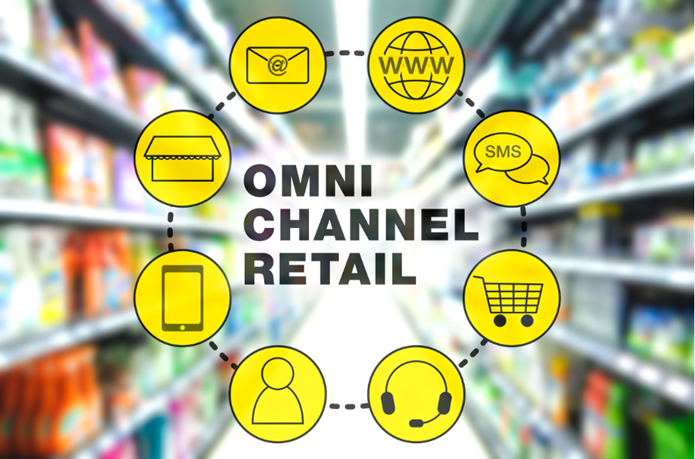 In order to experience complete benefits of Omnichannel, retailers must consider their capabilities and the challenges to seamlessly integrate systems such as CRM, POS, Order management (OMS), Warehouse Management (WMS), stores and E-commerce platforms. E-commerce supply chain management solutions provided by Unicommerce are focused on changing the face of retail in present market scenario. Unicommerce is a SaaS-based product which exhibits its Order and Warehouse Management solutions to automate client’s supply chain operations for online and offline businesses (Both B2B and B2C). 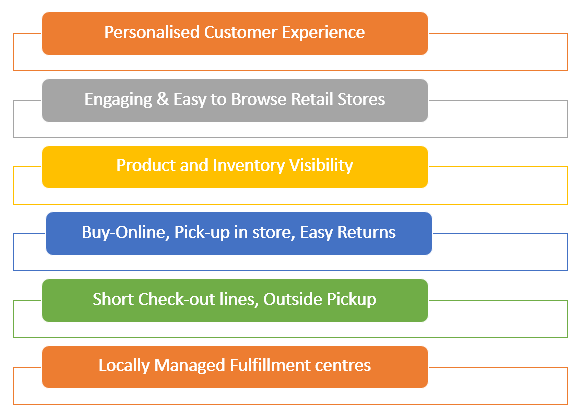 Unicommerce comes pre-integrated with 40+ online Marketplaces and 30+ Logistic partners, with support for offline channels as well to manage the needs of Wholesalers, Distributors, Retail Chains, Individual Store owners and E-commerce sellers to increase revenue and save operations cost. Unicommerce’s Omnichannel feature ensures the same level of customer experience irrespective of where the customer decides to purchase from (online marketplace or offline store). 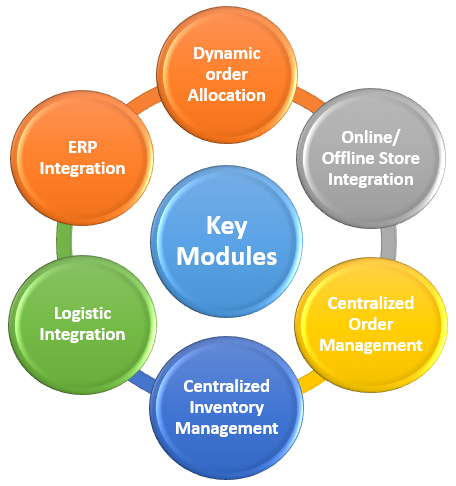 It enables central management of orders and inventory of online & offline stores. It also helps e-tailers in the routing of an online order to nearest store, thus providing a uniform experience to the customers and also lead to minimize logistics cost. Robust dynamic allocation for online orders to ensure that the online orders get routed to nearest offline store to minimize logistic cost. The order routing is flexible, and can be done based on the pincode, city location, state location etc. We provide a scalable solution to manage 1000+ stores. Unicommerce Omnichannel solution provides a seamless integration of online and offline stores including websites & pre integrated 40+ marketplaces. Integrating Multichannel, websites and offline stores to Uniware will help e-tailers to centrally manage the E-commerce and offline business, thus providing uniform customer experience which is the key to success in Omni channel retailing. Unicommerce Omnichannel solution comes with pre-integrated world’s leading marketplaces and cart solutions, Amazon, Flipkart, Snapdeal, Magento, Shopify, etc., so along with managing your Offline store orders, dispatch your online orders faster by printing invoices, labels and manifests in a few clicks. Purchasing Shipments is the backbone of E-commerce/retail industry. We understand this and that’s why Unicommerce comes pre-integrated with 30+ Logistics partners and self-managed logistics which helps you deal with any Geographical Restrictions and pushes you to sell anywhere. Unicommerce allows you to seamlessly integrate information of your online business (orders, inventory etc.) across 40+ marketplaces with any ERP (SAP, Oracle, Navision etc.) to centralize your website, marketplaces and offline inventory. Selecting right processes and technology is essential for enabling complete Omnichannel experience. As it will help to digitize the retail stores and connect them to the world of E-commerce.